Spinfy releases a children tablet computer: Moomin PAD - Spinfy - quality content for kids with smart parents! 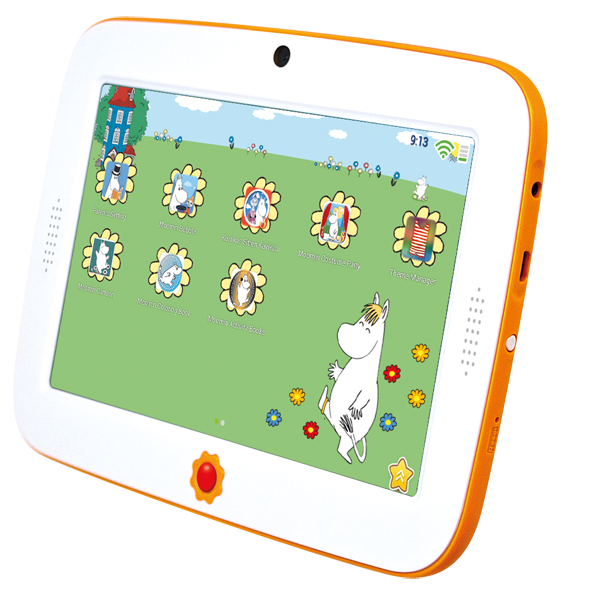 Moomin-PAD is a 7 inch tablet computer with full blown Android operating system packed with a specific Moomin User Interface and loads of preinstalled Moomin content for children. First devices will be available in FInland only and other countries will follow at later stage. More infomration of the device can be found at Spiny's product page, Mooomin-PAD.